So your gorgeous new appliance is delivered and installed! You’re excited and can’t wait to use it. That’s understandable, but before you do there is one important step that many people omit. You should read the manual that came with your wonderful new appliance. 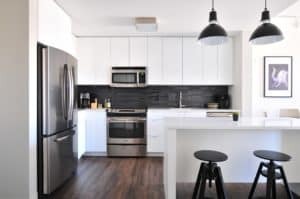 Many appliance manuals are dauntingly thick but they are chock full of information that is important to know for you to get the fullest enjoyment out of your investment. The manuals display and explain the component parts of your new appliance. They cover such things as recommended settings, cleaning and maintenance, modes of operation, temperature ranges, energy guide, replacement parts, and warranty information. And when something seems to be not quite right with the appliance’s operation, the chances are you’ll find the remedy in the manual’s troubleshooting guide. There are some very creative ways to store your manuals from three-ring binders with clear plastic sheet protectors and writeable tabs to folders in a file cabinet or plastic bin to taping them to the back of the appliance to scanning them and storing them on the computer. Reading and following the suggestions and guidelines in the manual will ensure you get optimum performance from your appliance, and could save you money in avoidable repairs and adjustments.